Resources and related links below (Including GcMAF & Nagalase). Please contribute and add additional information that you may have. I have interest in bio-chemical neuroscience/neurobiology. I consider mercury and aluminum neurotoxins as much as I consider water to be wet. At least 50% of science research papers are controlled by just five companies, and 90%+ of mainstream media in the US is controlled by five or six companies (2 merged into one (bringing it from 6 to 5, IIRC). The peer review process in mainstream science these days is an embarrassment and simply a regression to the mean. A Nobel prize-winning scientist has criticized the modern pier-review process basically stating that it is corrupt. It seems that these days that new observations don't lead to a shift in consensus, but a shift in consensus leads to new observations. There have also been a few medical journal editors that have criticized the peer-review process and scientific fraud in the medical fields. There are neurobiologists and scientists in related fields that are getting stifled and silenced or ignored on their findings of aluminum being a neurotoxin in vaccines. There are many studies showing the dangers of aluminum. Aluminum can indeed yield to an onset of Alzheimer's, breast cancer from deodorants/anti-antiperspirants that contain aluminum, and whatnot. Substances act differently when they are injected into the blood-stream, directly, vs inhaling or eating them, and there may be a passage of the blood-brain-barrier if substances are in the blood directly, especially in babies and young children. 3+ charge on the aluminum, from some of the macrophages that make it to the brain, it then binds to the negatively charged DNA. Thus aluminum disrupts the chromatin structure and in the brains of Alzheimer’s patients it was found that aluminum binds to selective promoter areas of genes that encode proteins that are essential for neural function. In this way aluminum inhibits the expression of these genes. The aluminum pretty much just stays there. 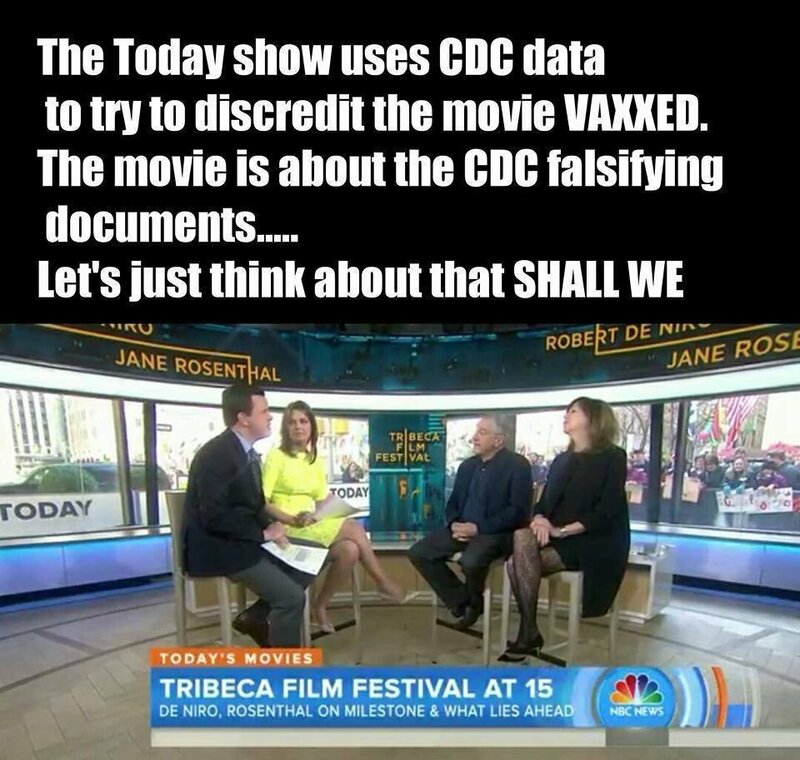 It is extremely difficult to have dissent in modern science regarding the mainstream establishment, especially if it is tied to something that is extremely common and especially profitable, such as vaccines, and/or imply that certain high establishments have been wrong, especially if there have been big ramifications regarding them and if the mainstream revelation/acknowledgement would yield to even more ramifications as well, and could also build mistrust in certain establishments from the masses, if revealed. Neuroscience, specifically, bio-chemical neuroscience/neurobiology is a big passion of mine. If I were do delve into the truth/dissent/get-to-the-bottom-of-things, officially & academically, it would be via neurobiology. Thiomersal is a murcery containing preservative. Murcery is a neurotoxin, whoever tells you otherwise is full of crap. Formahldahyde is also used in vaccines, but most is removed. Formaldehyd is a carcinogen. Aluminum (neurotoxin) salts are also in vaccines. Aluminum can also yeild to onset of alzhimers disease, and other things. Can We Continue To Justify Injecting Aluminum Into Children? The mainstream science communities are not immune to Group-Think, Group-Serving Bias, Cognitive Dissonance, The Dunning-Kruger Effect, Illusory Superiority, or corruption in other means. The Streisand Effect: I heard about GcMAF because of the murdered and missing doctors. IMHO, GcMAF is either a cure or a deliberate distraction. Nothing else makes sense. If it is an engineered distraction... my hats off... well done. It looks really authentic. GcMAF is a recent discovery that is supposed to be why holistic doctors have been killed (or disappeared). i've read that same doctors think that vaccines may contain Nagalase that causes austism & other diseases. NaGaLase causes immunodeficiency. Nagalase blocks production of GcMAF, thus preventing the immune system from doing its job. Without an active immune system, cancer and viral infections can grow unchecked. As an extremely sensitive marker for all cancers, Nagalase provides a powerful system for early detection. Serial Nagalase testing provides a reliable and accurate method for tracking the results of any therapeutic regimen for cancer, AIDS, or other chronic viral infection. Virus particles also make Nagalase. Their goal is the same as that of the cancer cells: survival by incapacitating their number one enemy: the immune system. Nagalase’s behaviour toward us has been reprehensible and disastrous. Working in cahoots with cancer and HIV—not shy about getting into bed with our mortal enemies—Nagalase can rightfully claim direct responsibility for billions of human deaths. And it would just as soon add you to the list. Macrophages are a vital part of your immune system. They have the ability to identify cancer cells, rid the body of worn-out cells and play a crucial role in initiating an immune response. Meanwhile Vitamin D binding protein is important in activating these macrophages. The form of Vitamin D binding protein that directs your macrophages to attack your cancer cells is called GcMAF. However many cancer cells produce a protein called NaGaLase that destroy Vitamin D binding proteins. The I.A.T. uses GcMAF made from healthy human serum Vitamin D binding protein which bypasses the cancer’s ability to de-activate macrophage activation with NaGaLase. "The Effect of Aluminum in Vaccines on Humans"
"Dietary Aluminum vs. Injectable Aluminum - Dietary Aluinum is excreted fairly rapidly, where injectable Aluminum stays around damaging the bodies nervous system(circuitry)..."
"Aluminum adjuvant linked to Gulf War illness induces motor neuron death in mice"
"Human papilloma virus vaccine and primary ovarian failure: another facet of the autoimmune/inflammatory syndrome induced by adjuvants." "Infant mortality rates regressed against number of vaccine doses routinely given"
"Association between type 1 diabetes and Hib vaccine Causal relation is likely"
"Professor Gordon T. Stewart, Emeritus Professor of Public Health, Glasgow University, explains exactly the dangers of the Whopping Cough vaccine"
"the marginal advantages of the vaccine in children over one year of age have to be offset against adverse effects of the vaccine itself, which are very common indeed and may be followed occasionally by irreversible brain damage, paralysis and mental deficiency. Because of this danger, or for fear of it, many parents and doctors are reluctant to vaccinate their children." "Impact of environmental factors on the prevalence of autistic disorder after 1979"
"My name is William Thompson. I am a Senior Scientist with the Centers for Disease Control and Prevention, where I have worked since 1998. I regret that my coauthors and I omitted statistically significant information in our 2004 article published in the journal Pediatrics. The omitted data suggested that African American males who received the MMR vaccine before age 36 months were at increased risk for autism." Dr. Verstraeten, pg. 31: "we have found statistically significant relationships between the exposure and outcomes for these different exposures and outcomes." Dr. Bernier, pg. 113: "So we are asking people who have a great job protecting this information up until now, to continue to do that until the time of the ACIP meeting. So to basically consider this embargoed information." Dr. Johnson, pg. 198: "This association leads me to favor a recommendation that infants up to two years old not be immunized with Thimerosal containing vaccines if suitable alternative preparations are available.” ... "I do not want that grandson to get a Thimerosal containing vaccine until we know better what is going on." Dr. Weil, pg. 207: "The number of dose related relationships are linear and statistically significant. You can play with this all you want. They are linear. They are statistically significant. Dr. Brent, pg. 229 "we are in a bad position from the standpoint of defending any lawsuits"
Dr. Clements, pg 247- 249: "that I am very concerned that this has gotten this far, and that having got this far, how you present in a concerted voice the information to the ACIP in a way they will be able to handle it and not get exposed"
Dr. Bernier, pg. 256: "just consider this embargoed information, if I can use that term, and very highly protected information"
"What's going on? If you listen to well-paid spokespeople of the vaccine industry, you’ll hear that the case is closed on the link between vaccines and autism and that the scientific consensus supports no association. It’s eerily reminiscent of the days when tobacco companies produced a consensus of science showing no link between smoking and lung cancer. But, calmer voices like Dr. Bernadine Healy, the former Director of the NIH, are rising up and challenging this rhetoric. Where is the truth? Like everything else in life, the devil is in the details. The "fourteen studies' are being misrepresented by public health officials who are trying to save the current vaccine program, which has ballooned from 10 vaccines in the 1980s to 36 today, a 260% increase. During this same time, autism rates have gone from 1 in 10,000 to 1 in 110, a 9,000%, or 90-fold increase..."
A team from Créteil and the INSERM Institute in France also presented data from animal experiments at the Japanese symposium, which show that if you inject the aluminum adjuvant, a portion of the aluminum is engulfed by macrophages. Some of these macrophages eventually find their way into the mouse brain. The transport in the brain is dependent on the same chemokine, MCP-1, macrophage chemoattractant protein that Shaw and Tomljenovic found increased in their aluminum-exposed animals. Part of the problem is that the aluminum accumulates, and it stays in the brains of mice up to one year after injection because there’s no recirculation to take it out. “This is a common problem with aluminum, because it’s got a strong positive charge, 3+,” Dr. Tomljenovic says. “What other research has found is that in Alzheimer’s patients, the chromatin fractions in the nucleus of the cell, where your genetic material is stored, accumulate aluminum. Because the DNA has a negative charge on the outside, it binds the positive aluminum. Thus aluminum disrupts the chromatin structure and in the brains of Alzheimer’s patients it was found that aluminum binds to selective promoter areas of genes that encode proteins that are essential for neural function. In this way aluminum inhibits the expression of these genes. Only 1 of the dozens of childhood vaccinations has been studied for links to brain injury. Increased risk of developmental neurologic impairment after high exposure to thimerosal-containing vaccine in first month of life. Conclusion: This analysis suggests that high exposure to ethyl mercury from thimerosal-containing vaccines in the first month of life increases the risk of subsequent development of neurologic development impairment, but not of neurologic degenerative or renal impairment. See video description for sources. "Today, scientists' success often isn't measured by the quality of their questions or the rigor of their methods. It's instead measured by how much grant money they win, the number of studies they publish, and how they spin their findings to appeal to the public." By popular demand: Here is a list of court cases settled by one law firm for Guillain-Barré Syndrome being caused by the flu vaccine. Clear statistical evidence that lives are being ruined by vaccines. ‌• That Congress subpoena Dr. William Thompson and investigate the CDC fraud. ‌• That Congress repeal the 1986 National Childhood Vaccine Injury Act and hold manufacturers liable for injury caused by their vaccines. ‌• That the single measles, mumps, and rubella vaccine be made available immediately. ‌• That all vaccines be classified as pharmaceutical drugs and tested accordingly. All the people who got mumps had been vaccinated with the Mumps vaccine. MMR (Did you know that Merck's own virologists are suing them over the Merck vaccine because of it's inefficacy?) shocker!